Casting calls: Now, your phone won't stop ringing! Do you check your phone several times in a day to ensure you don’t miss a casting call from a TV production house or a film producer or a casting agency? Or, do you pay frequent visits to the casting agent’s office to know if there are any casting auditions wherein you can appear? Well, just put your acting profile online and you would be surprised to see your phone ringing all the time with casting calls and invitations for casting auditions for led roles, minor roles, or extra work. The Internet offers you the best platform to showcase your talent. You can use your photographs, videos, or audio reels to promote yourself in the best possible manner. You may even highlight your key skills and achievements and make your profile page as attractive as you can in order to catch the attention of the producers, directors, and casting agents. Websites that list portfolios of actors/dancers/singers/models are viewed actively by casting agents and film and TV producers. Unlike casting agencies, where your acting portfolio or bio-data will get buried somewhere and will never makes its way in to the hands of directors and producers, here you would get maximum visibility. If the site where you are listing your portfolio is popular, you might get casting calls within few days itself. Most importantly, you can apply to as many jobs as possible for jobs for actors, presenters, models, dancers, or singers. You are free to post your profile on several sites so as to increase your chances of getting noticed by casting agencies and producers, and to get details about each and every casting audition that is about to take place in your city, without worrying about money at all. The fee for viewing the casting auditions details online or to list your portfolio online is quite decent. Plus, you won’t be asked to pay any commission for the casting calls or on the work you get from the site. However, to get the most out of this method, you need to keep few things in mind. You must choose to list your portfolio on those sites that are popular or are enjoying high search engine ranking. It would give you maximum exposure. Then you must go through the site carefully to find out its total experience, and its success ratio in helping people find acting jobs or presenter jobs or TV extras roles. 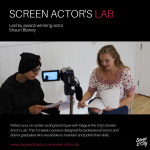 If it has helped many people find acting roles or extras works, only then you should choose that site.